To torrent effectively, you need a lot of bandwidth, and since its peers who share the content, a lot of bandwidth means you will get the content faster. Due to this reason, ISP throttle and even sometimes block torrent traffic at peak hours. Mainly, most ISPs can’t accommodate bandwidth demanded by torrents, and other users might miss internet services. This is an injustice that has been going on for a while, and nowadays ISPs take advantage of the assumptions that torrenting is illegal to throttle users’ bandwidth further. Although some torrents are illegal, others are not. Torrent throttling results to slow download and upload speeds. It’s even frustrating for cord cutters who rely on services that use the torrent protocol: the results, lags and full-time buffering. To bypass ISP throttling, you must first know how ISPs do it. In a nutshell, your ISP knows every little detail on every activity you do on the internet. How is that possible? Your ISP is the sole provider of your internet, and they facilitate this by an IP address. Using the IP address assigned to you, your ISP can monitor and track data packets that you send and receive from the internet. This data packet contains the information of which your ISP is interested in. Mostly, the packets tell whether the data is from a torrent service and so on. Using their systems, they can be set to block or slow sown packets containing torrent information. When they slow down your traffic, you will get low bandwidth, and this means your torrents may take up to a week to download. To bypass their throttling mechanism, you will need a VPN. 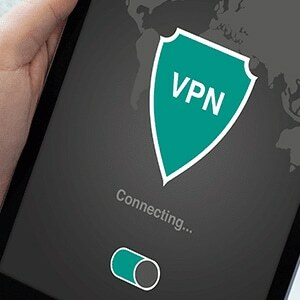 A VPN uses encryptions and other mechanisms to bypass ISP torrent throttling. When you connect to the internet via IPBurger VPN, your internet traffic is encrypted. This means it’s not visible any more to prying eyes such as ISPs. Further, your encrypted traffic is further tunneled through the internet using a selected VPN server. By doing this, your ISP won’t know what type of packets you’re transmitting on the internet. Hence, their blocking mechanisms will allow your torrent traffic to pass through without slowing them down. As a result. You will have a full bandwidth, less download time and if you’re streaming torrent content, you will experience zero lags and no buffering. Other than bypassing your ISP, IPBurger VPN will also allow you to access other restricted content. IPBurger is efficient because it uses strong encryption protocols, offers unlimited bandwidth with faster speeds, doesn’t keep your activity logs and lastly it has worldwide servers. Before torrenting, always ensure you are using a VPN, you might not know if the torrent you are accessing has copyrighted content. 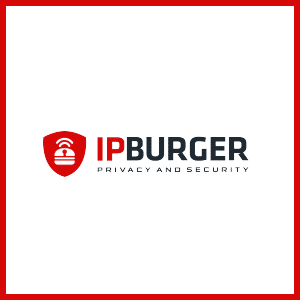 Also, a VPN such as IPBurger will help you bypass your ISP injustices and regain your online digital freedom.